I love baking. I actually bake every weekend. If I had the time I would be making desserts all the time. 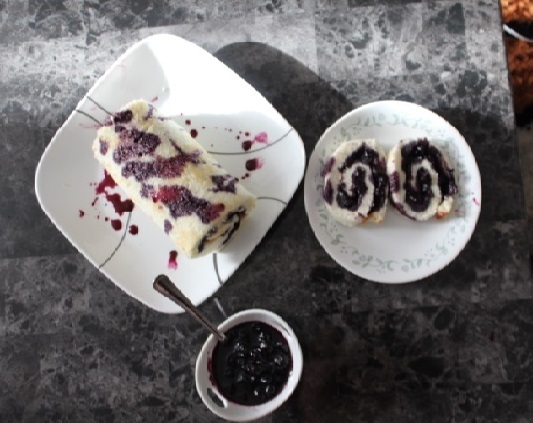 This blueberry role is simple and easy to make on very short notice with things most of have in our kitchens all the time. Preheat over to 375 and grease a medium pan and line with parchment paper; have parchment go over the edges of the pan so it easier to pull the cake out. Separate your eggs; beat egg whites with a mixer in a medium bowl until its foamy and soft. Add 1/2 sugar to egg white mixture and mix until well mixed. Add egg yolks and mix until all ingredients are well blended. 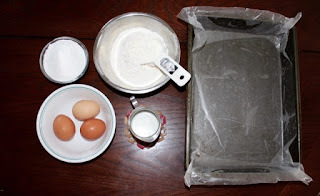 Add eggs and flour to egg mixture and mix well with a spatula. 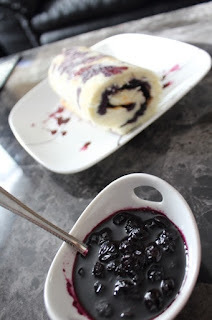 Pour mixture into the pan and bake for 10 minutes. 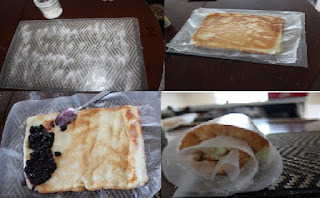 On a parchment paper (size of your pan) spread the 1/4 sugar evenly. Turn the pan so the cake falls on the sugar parchment paper. Peel away the parchment paper on top, spread the warmed jam evenly. 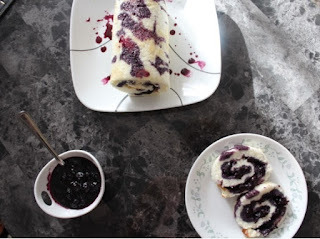 Using parchment paper roll the cake (jam side inside) and cool. I added some jam on top of the role as well, just for design.